Wetsus, centre of excellence for sustainable water technology is a facilitating intermediary for trend-setting know-how development. 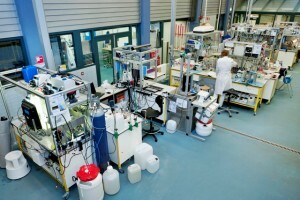 Wetsus creates a unique environment and strategic cooperation for development of profitable and sustainable state of the art water treatment technology. The inspiring and multidisciplinary collaboration between companies and research institutes in Wetsus results in innovations that contribute significantly to the solution of the global water problems. Innovation, partnership, joy, cooperation and reliability are the values around which all Wetsus’ activities are organized and performed. Wetsus’ activities are split up in 5 fields of attention: Wetsus Research, Wetsus Business Support, Wetsus Platform, Wetsus Talent, and Wetsus Education.